One of the things Pokemon X/Y lacked was any considerable post game activities. Between mysterious rail stations, ghosts, and foreign travels from strange and mysterious lands there is certainly potential. Well if these rumors of new pokemon are true, then we might just get the makings of an interesting post game after all. But will the bugs of the new Pokebank system spoil this? Not long after the release of Pokemon X/Y, a hacker by the name of Smealum found some hidden pokemon written within the games code. Now some of these were just variations of the games butterfly pokemon Vivillon, but the majority could hopefully mean the story isn’t over. 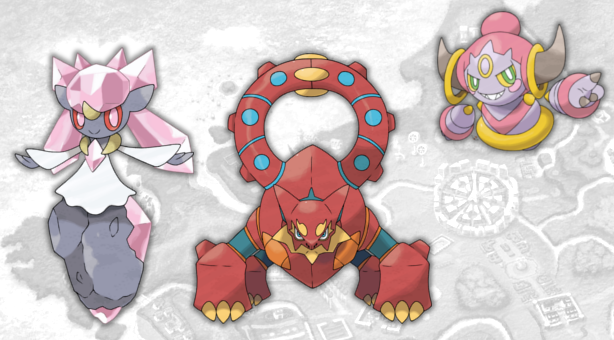 The group of Pokemon that got the most hype were three brand new pokemon named Diancie, Hoopa, and Volcanion. A few months later and we finally have information about these new Pokemon as well as their possible connections to existing Pokemon lore. 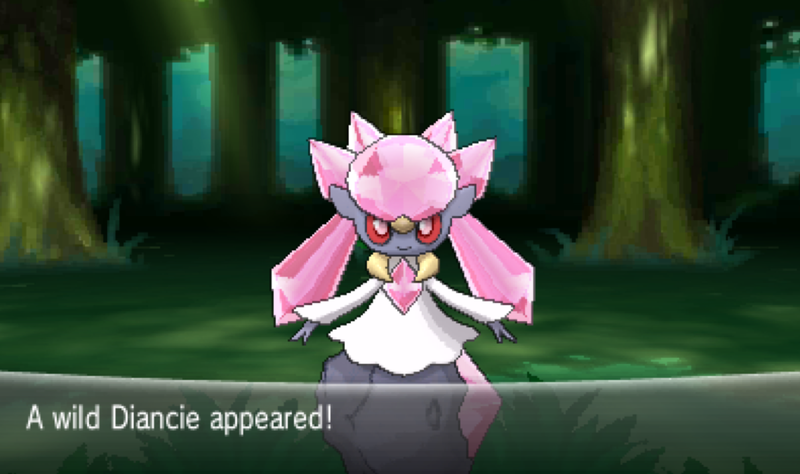 – Diancie: The Jewel Pokemon. “It can instantly create many diamonds by compressing the carbon in the air between its hands.” At first glance it appears to be an evolved form of Carbink, but according to the Pokedex evolution page there is no such link. Although considering this is the second Rock/Fairy type – the other being Carbink – perhaps there is a connection, just not an evolutionary one. It’s always possible that Carbinks are literally created by Diancies, but are incapable of evolving into them. 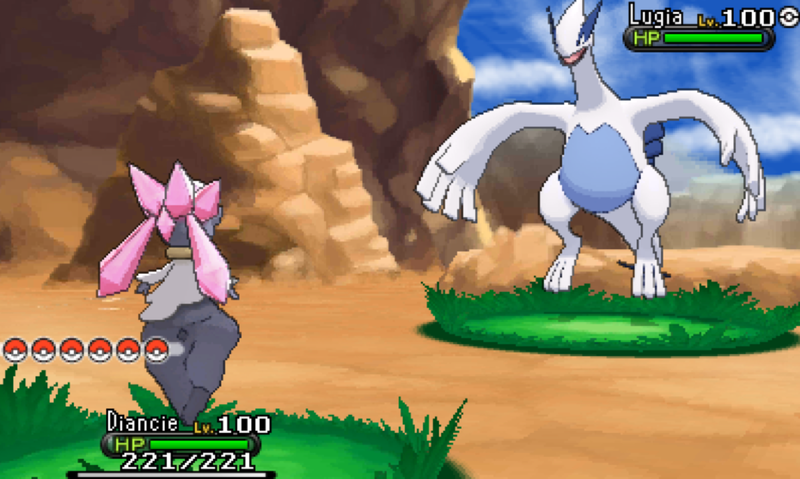 As for where this Pokemon will appear, I’d guess Reflection Cave. 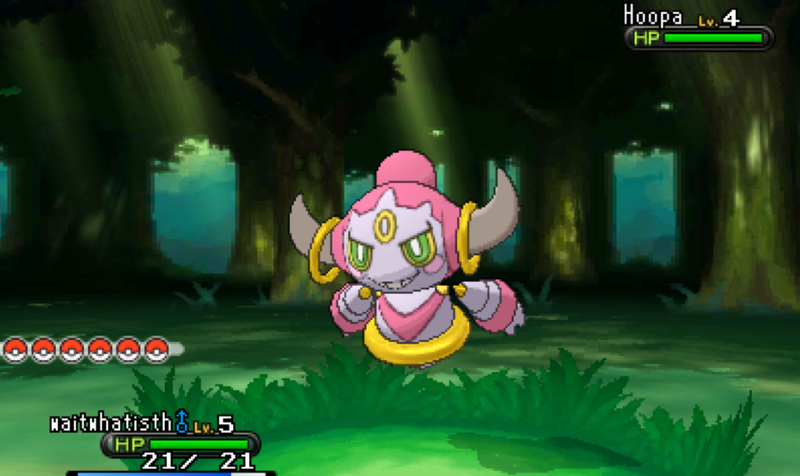 – Hoopa: The Mischief Pokemon. “It gathers things it likes and pushes them through its loop to teleport them to a secret place.” Not much else is known about this Pokemon, but it is the first Pokemon to have the type combination of Psychic and Ghost – which were usually considered the antithesis of each other. Thankfully this ghost type seems pretty tame compared to some of the recent additions, which seem to have an affinity for tormenting and devouring adults and children alike. As for the location of this Ghost type, possibly it has some connection with that abandoned house where you heard the old man’s ghost story – an otherwise pointless plot point. 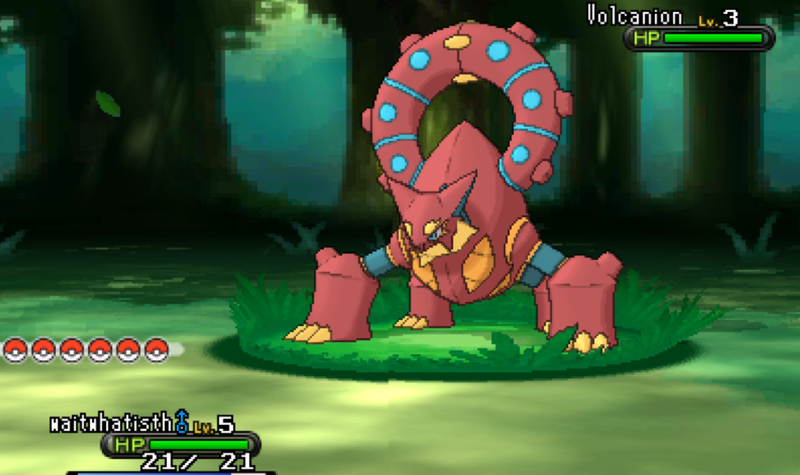 – Volcanion: “It expels its internal steam from the arms on its back. It has enough power to blow down a mountain.” Speaking of strange type combination,this imposing beast is both Fire and Water type. Considering fire and water don’t mix, it’s possible that Volcanion’s body is a boiler of sorts that heats the water in that strange device on its back, which then turns into two back mounted canons when its prepared to attack. Apparently this Pokemon is connected to the mysterious Lumiose City blackout, which means it will probably be accessible via one of the Power Plant’s access points that remain locked. For more information on these new Pokemon – along with their max stats – check out the full reveal here. As with any Pokemon game, we are bound to see at least a few past legendaries return. The three Legendary Birds – Articuno, Zapdos and Moltres – were present in X/Y depending on your starter Pokemon. Mewtwo also made a return, but what about any others? New revealed footage has shown Mew, Lugia, and even Giratina in 3D forms, but are they present because of game trades or in game stories? 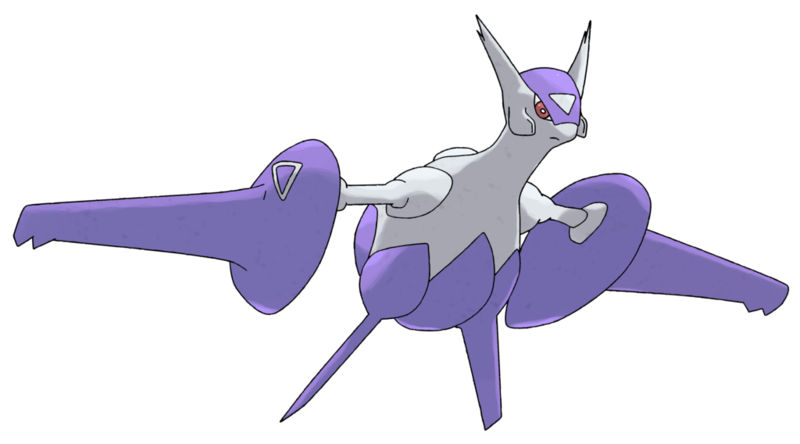 With the help of new Mega Stones, past Legendary Pokemon like Latios and Latias can evolve for battle with immensely powerful new abilities. Regardless of this, there is one returning Legendary that seems almost certain to have at least some sort of mini story – or should I say two Legendaries. The Third Generation dragon Pokemon known as Latios and Latias not only make an appearance, but they also get brand new Mega Evolutions. I doubt Nintendo would just gift these Legendaries with their accompanying Mega Stones like they did in the Torchic distribution. So there must be some sort of mini-side adventure to go on to track them down and capture them – with their accompanying Mega Stone. 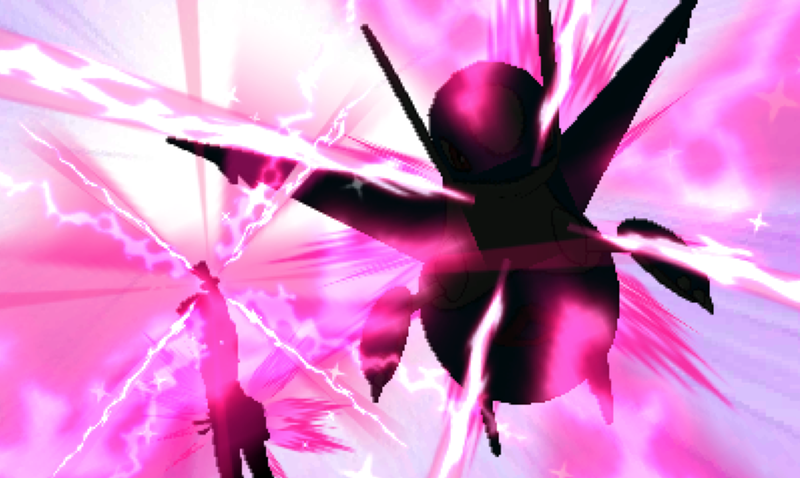 As with all Mega Evolutions, the Pokemon gets a brand new game changing ability and type. Mega Latios and Latias are no different and whereas they look almost exactly the same, their powers are vastly different. Rumor has it Mega Latios keeps its Dragon/Psychic type combination, but gains the ability ‘Adaptability’. Adaptability is a devastating ability that boost Same-Type-Attack-Bonus (STAB) from 1.5 to 2. In other words, if Latios (a dragon type) uses Dragon Pulse (an already powerful dragon type attack), its power becomes 180 rather than 135. Mega Latios in all his glory. Or is it Latias in all her glory? Latias on the other hand becomes a Dragon/Fairy type basically combining the two most powerful types past and present. As the gentler of the two, Latias gets no such offensive boost, but instead receives the ‘Multiscale’ ability which cuts received damage in half when its heath is full. Considering its already high defenses and the ability to learn recovery moves, Latias will become a virtual tank against any foe. In addition to any stories related to these new and returning legendaries, there is one other story addition that seems relatively possible. Remember AZ, the freakishly tall millennia-old former king of Kalos? 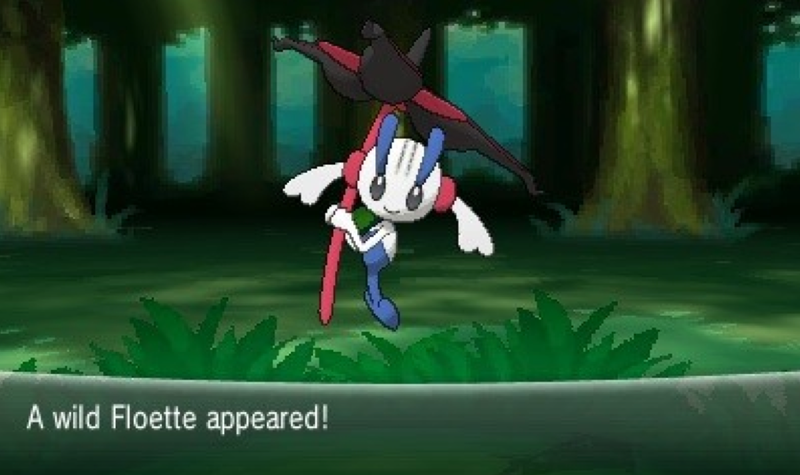 When Pokemon X/Y ended, we find AZ reunited with his beloved Floette. Thanks to Smealum’s hacking, we find AZ’s Floette has returned – but how? Due to its tell tale black and red markings, this is none other than AZ’s beloved Floette which had been revived through the use of the Ultimate Weapon. There are various things that could explain this, but all basically come back to some new story component dealing with AZ. Whether he passes it onto you after completing a certain task or maybe you have to go find Floette again. Who knows? Speaking of ‘who knows’, the Pokebank is a cloud based storage system that can hold up to 3000 Pokemon and seems to be the way Nintendo is moving as far as trading between Generations. Originally set to be released back in December, it immediately caused servers to crash and was removed from the Nintendo eStore in Japan. The West has still yet to see its release or get any official word. Receive a promotional Celebi when downloading the Pokebank. What makes this even more annoying is that originally Nintendo planned to offer a free Celibi for signing up as well as a free 30 day period to try out the Pokebank if done so before January 31st. Some players in Japan have even received Giratina for being some of the first to sign up. With no new release date in sight, one wonders/hopes that Nintendo would make these deals available again when its finally released in the rest of the world and just push back the expiration dates. Originally I considered downloading the Pokebank, but with all the hassles – as well as the fact that I don’t have Pokemon Black/White 1 or 2 – I don’t think I will. With Nintendo being so silent on the matter despite all the outcry, one has to wonder if they realized just how in over their heads they were or if they scrapped the idea all together. I guess this is the closest we’ll ever get to playing with a real Raikou. Would it be fun to see old favorites in 3D form? Of course! But as with my initial review of Pokemon X/Y, one has to wonder if it’s necessary. With Pokemon’s Art Director Ken Sugimori wishing her could take Pokemon back to its basics, the Pokebank idea just goes back to feeling superfluous. I personally agree with Mr Sugimori and think cutting back might be in the series’ best interest. Considering some of their recent additions – *cough* a keychain Pokemon *cough* – it seems like the creativity and semi-realistic tone of Second Generation (and even Third Generation to an extent) are long behind us.